Every summer our village holds an annual show where people can enter produce, jams, flowers and cakes. They also have catergories for children and I thought it’d be fun for the girls to enter a few. We’ve opted for four decorated cupcakes, pasta jewellery and a rainbow on a paper plate. 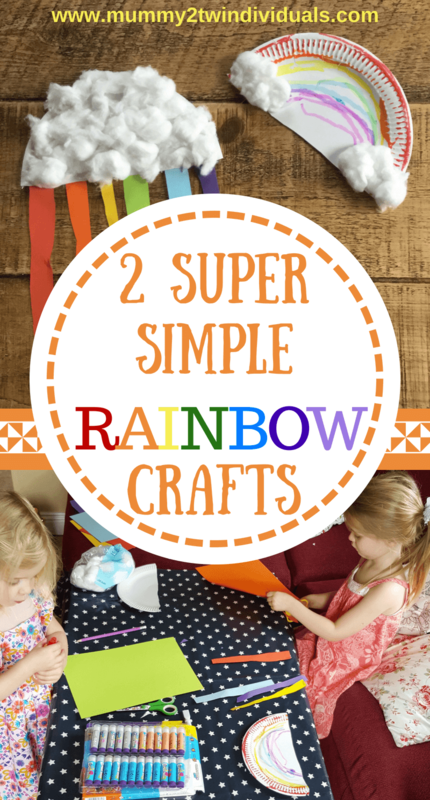 Here are the super simple rainbow crafts the girls did and I’m really proud of them. There was the tiniest bit of guidance so they knew what order to put colours but I didn’t actually touch their creations once. They did every bit of cutting and sticking themselves. Both of the designs needed the paper plate to be cut in half. This was another good opportunity to incorporate maths into everyday and to talk about the word half….always a teacher! Hopefully their entries won’t be disqualified for only using half a paper plate. Emily wanted to use our new paint sticks to create her rainbow. These are amazing and from Little Brian. This isn’t sponsored by them but I happened to win a set on an Instagram competition and we love them. They screw up and down just like a glue stick and there are no spillages or brushes to wash after. One by one she added the colours to her rainbow. I was telling her the colours but of course she was singing the rainbow song which is completely different. Jessica started to cut out her strips. One or two are pretty wonky but it adds to the charm I think. 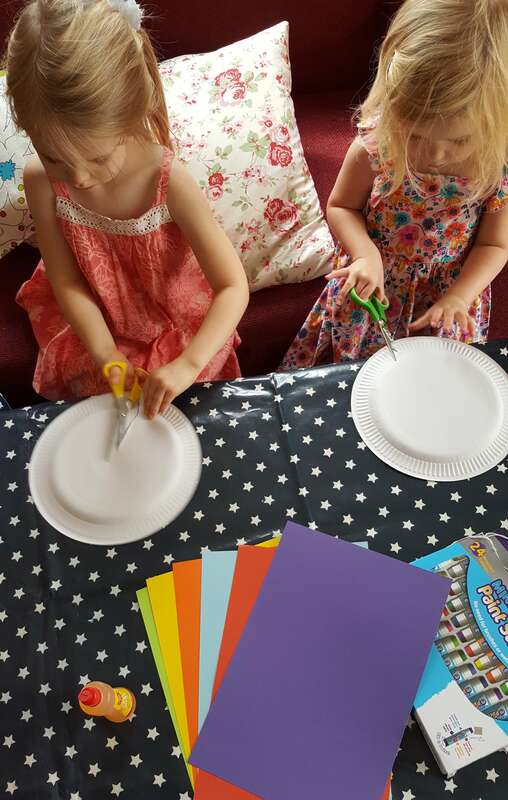 Both girls then needed to add glue to their crafts. Emily just a bit on either end of her rainbow and Jessica needed it all over her half paper plate. After that, they added cotton wool to the glued areas and Emily’s was done. We flipped over Jessica’s and she taped on the coloured strips in the correct order. Hers was done too. 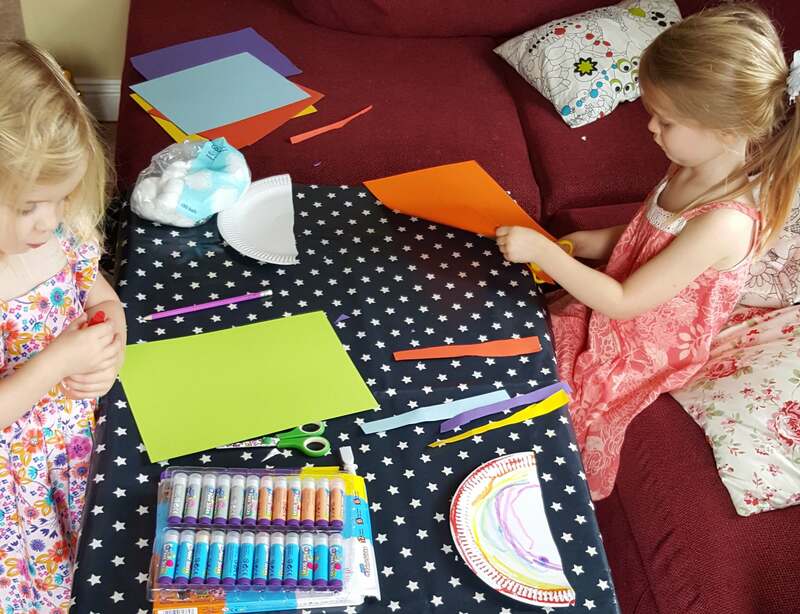 Both crafts took about 10 minutes but are quite effective and colourful. 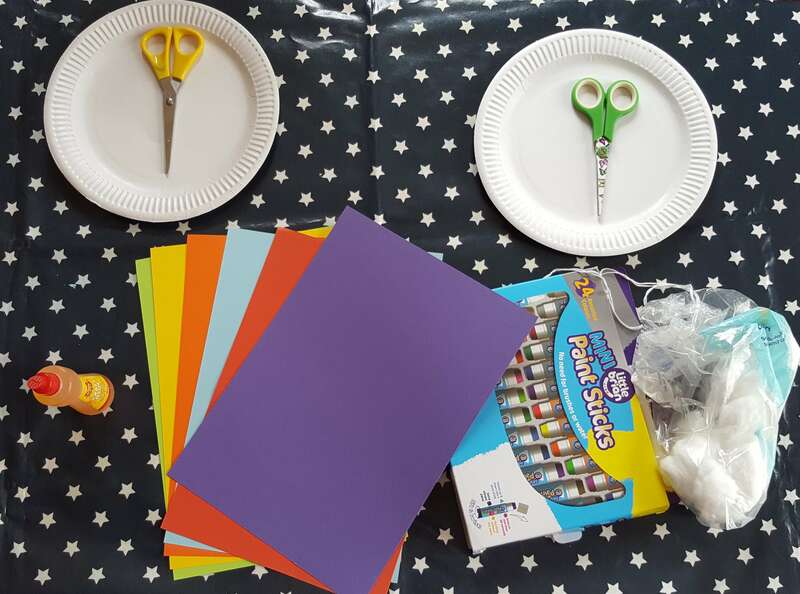 Which of these rainbow crafts is your favourite?